Side-by-side refrigerators offer several advantages over traditional freezer-on-top fridges, including easier access to your food. By having the freezer to the side of the fridge, you can more easily organize your food to have commonly used items within arm's reach or at eye level. Side by sides offer easy access for the fridge and freezer section with proportionally more freezer space than a French door. We provide complete services from installation to its maintenance. We provide best Side By Side Refrigerator repair service in Vadodara, experienced ac repair experts at your door step just a call away. We are known for providing efficient and reliable Refrigerator repairing service at affordable price. We provide complete installation service for Side By Side Refrigerator and many more Refrigerators of various brands. Our technicians have more than 20 years of experiance in the field to provide you smooth and reliable ac repair services. Annual Maintenance Contract for Side by side Refrigerator repair service include one year service & complaint. Immediate attendance on breakdown or any emergency issue. 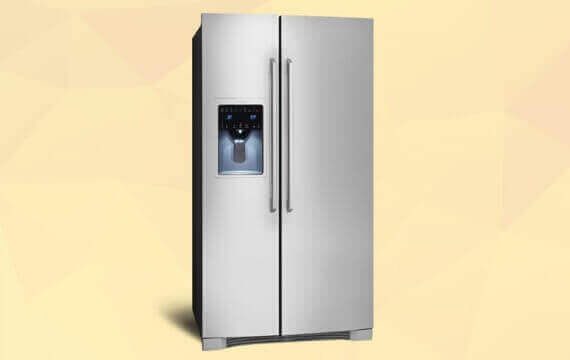 We provide high quality Refrigerator repairing and maintenance service in Vadodara with 100% satisfaction guarantee. Contact us for the special Refrigerator Repair AMC offers.